A great opening or introduction can be the hook that grabs onto you and doesn't ever let go. It's the thing that can make for a strong start to a game that keeps its momentum up right from the very beginning. With the First Things First line of articles, it has been SuperPhillip Central's intention to showcase the strongest opening cutscenes from gaming history. This third edition features favorites from Final Fantasy VII, Super Smash Bros. Melee, Donkey Kong 64, and more. Final Fantasy VII is one of the most important games of its kind. It introduced a plethora of players and PlayStation owners to the world of RPGs, particularly of the Japanese kind. It was also an impressive showcase of the possibilities of CD technology over cartridges, a reason why Squaresoft moved from Nintendo consoles to Sony's new PlayStation. The opening cutscene that serves as the opening to Final Fantasy VII floored gamers back when VII originally released. From showing off the denizens of Midgar to cuts to the train housing members of AVALANCHE showing their trip to the Mako Reactor, the opening of Final Fantasy VII is one of the most engaging beginnings to any Final Fantasy game both past and present. 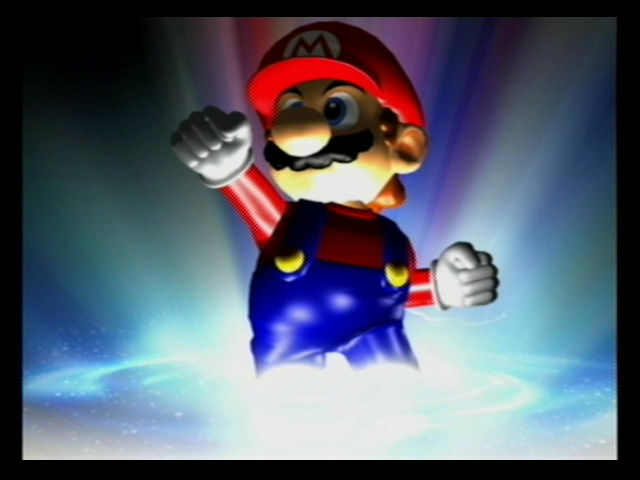 Imagine (or remember depending on how old you are) being a fan of Nintendo, putting the Super Smash Bros. Melee disc into your newly purchased Nintendo GameCube, and being greeted with this epic opening feature a host of characters and references from the big N's big history. You get Donkey Kong rushing through a jungle, an army of multicolored Yoshis stampeding through a grassy knoll, Ness speeding through Onett as he leaves two trails of fire behind him, Captain Falcon in the Blue Falcon slamming Samurai Goroh off the track, and so much more. All of this is punctuated by one of Nintendo's first orchestral scores, and you get a highly memorable and still awesome opening to this day. I'd be remiss if I didn't mention the Nintendo 3DS remake of Star Fox 64, but the more memorable opening is definitely from the Nintendo 64 original. It showed Nintendo at its most cinematic, showing off its then relatively recent Nintendo 64 hardware with tremendous effect. 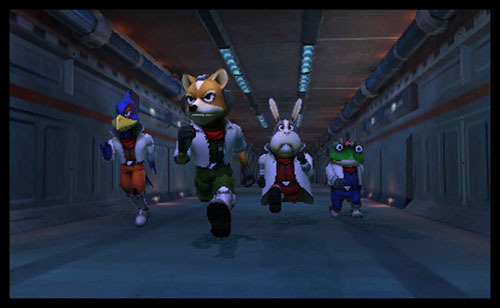 There was unforgettable fully voiced dialogue, strategically done camerawork, and great production values in place for the opening that introduced many players to Team Star Fox, its main craft the Arwing, and a quick briefing from General Pepper on the story of this classic game. Whether you play it on the Nintendo 64 or can track down the unpredictably rarer Nintendo 3DS version, you're going to get a terrific arcade game to enjoy. With a rap theme that has gained great notoriety over the years, even from composer Dave Wise himself, you can't help but fall in love with this cheeky and charming opening for Donkey Kong 64. The rap introduces all five playable Kongs-- Donkey, Diddy, Tiny, Lanky, and Chunky-- with their own verses detailing each ones' abilities. Meanwhile, you get Cranky Kong serving as DJ, scratching his paws along the spinning records and mixing table. He surely knows how to take it to the fridge. This lovingly weird, whimsical, and ridiculous rap is a highlight of Donkey Kong 64 and got players ready to roll with the DK crew. Before Rare went all ape **** crazy with the collectibles of Donkey Kong 64, they made a nice balance of platforming, exploring, and adventuring with one of my favorite 3D platformers of all time, Banjo-Kazooie. When I let the game idle as a middle schooler and saw this intro, I knew then and there I was watching something that clued my brain into knowing I was about to play something both ridiculously charming and special. Banjo-Kazooie's opening begins with Banjo and Kazooie playing their titular instruments before cast members Tooty and Mumbo Jumbo begin interrupting with their own instrumental performances. Feeling upstaged, Banjo gets increasingly angrier, but eventually lets that anger subside and happily plays along with the group for a joyous performance. Originally released on the Wii, No More Heroes gained cult classic status with many owners of Nintendo's revolutionary system. The game would go on to have a fully HD version on the PlayStation 3 and Xbox 360, though not as enjoyable to those who loved the Wii original. Regardless, No More Heroes' opening is as stylish and cool as the game itself. It details the premise of the game with great narration by hero Travis Touchdown. You get the ultra cool opening with the super catchy main theme of the game with its infectious ostinato. The Wii version of the opening has cool transitions between shots via the staff roll, as well as urging players to grab their Wii Remotes and let the bloodshed begin.